Hey, guys! This is the 3rd week for our Filipino Friday meme. 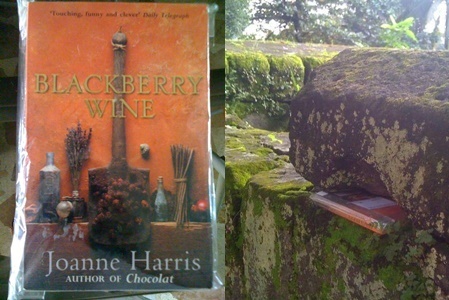 Filipino Friday (3):"Did you participate in the Pinoy Book Drop? If yes:- First, kindly detail all the books that you have dropped, and where and when you dropped them.– Next: tell us all about your experience. How did you feel before and after you dropped the books? How did you choose the places where you dropped them? Did you check back and see if the books were still there? Do you have any idea who might have found them?" Are You There Vodka? 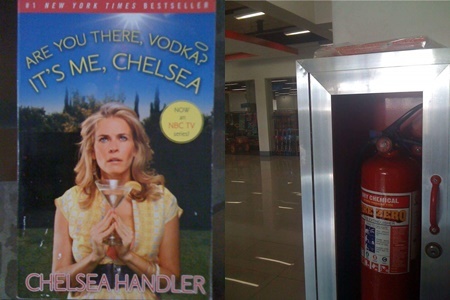 It's Me, Chelsea by Chelsea Handler, dropped at Star Mall Annex, Las Pinas, October 24. I have to say that these past few days were pretty exciting. 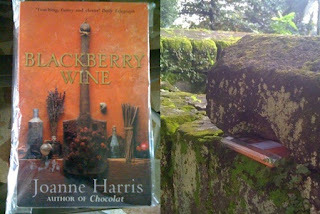 Dropping the book was one thing, but taking a photo was something else entirely. It involved a lot of cunning and subtlety. I chose random places, just someplace I have to be on that day, but I have to make sure it's a spot with most human traffic. The Intramuros Wall is a lover's lane, while the latter is conveniently near a fast food restaurant and a grocery on the other side. I did check later. The books were gone, but, sadly, I have no clue as to who got them. Check the books I dropped last month. Color me excited, I want to see your book drop photos too! 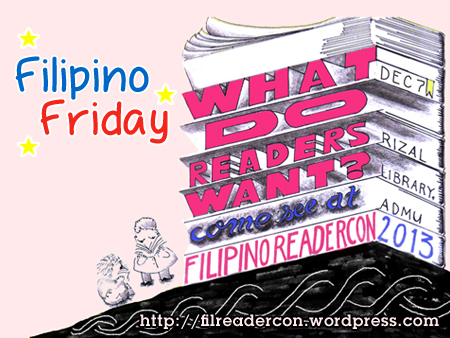 BTW, you had better pre-register, because the 3rd Filipino ReaderCon: What Do Readers Want? is fast approaching. I've been super paranoid about the book drop as well. Taking the photos without looking shifty is definitely a challenge. I know I looked like I was up to no good. Hahaha! Glad to know I wasn't the only one paranoid about it. I was really worried that a guard might call my attention and say, "Ma'am, bawal po yan." They are highly suspicious whenever people leave small packages in public places, right? Yikes, I missed that part of the instructions ..I concentrated on what it was all about! Anyway, I had an awkward time with the photo part too especially my drop to the convalescent ..I didn't want to think I was up to no good!